The impact of digitization and Internet of Things (IoT) has fueled the telecommunication industry in becoming a vibrant and interconnected ecosystem expanding across arrays of products, technologies and services companies. These developments are playing a major role in governing the way telecom companies are monetizing their infrastructure investments, data traffic, and improving customer experience. Additionally, many communication service providers (CSPs) are under constant pressure to change their business models and adapt to new roles across a growing number of industry value chains. However, poor inter-departmental communication, lack of senior management understanding, and fragmentation in data sources has been the obstacle for CSPs. To surmount these impediments, one company, Sigma Software provides a platform for innovative converged billing, charging, customer care, facility management and payment solution. 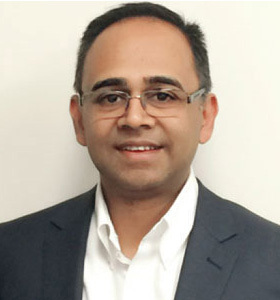 “We understand the requirements of monetizing upcoming services and our solutions are implemented across industry verticals,” says Shaibal Datta, President and Managing Partner, Sigma Software. Headquartered in Toronto, Ontario, Canada, Sigma Software renders OmniCare, a convergent and unified billing solution. OmniCare is completely web-based and uses latest tools and technologies such as Rest API, Java, and JBOSS to offer real-time online rating and charging for telecom services such as long-distance, wireless, VoIP, IoT, and many more. In addition, itis compatible with any industrial standard switches like Broadsoft, Meta-switch, Asterisk amongst others. “OmniCare also supports eCommerce capability as well as internationalization with its multi-lingual and multi-currency feature,” adds Datta. OmniCare allows CSPs to use a single system for multiple access technologies and billing methods. It provides real-time transaction capabilities for reseller/partner level enabling departments to monetize the value of transactions. The solution is designed to help CSPs deliver innovative and profitable products at a lower cost and in less time. Also, it supports flexible tree structure and multiple packages/bundles requirements. Apart from OmniCare, the company also offers IoT device management platform for managing the IoT wave for the service providers as well as Big-Data analytics for the telecom and utility companies who deal with enormous amount of real-time data. “We build long-term relationships with our customers and help them solve their business challenges in a timely and cost effective way,” says Shaibal. The telecom industry’s top carriers and most innovative resellers have relied on Sigma Software’s flagship product, OmniCare. In one in¬stance, a large telecommunications wholesaler in U.S. reached out to Sigma Software to solve challenges related to consolidation of billing across various providers. They were in need of a solution that could handle the complexity, while still being simple and flexible to allow resellers to manage their billing needs for their customers. The company’s professional service team customized the OmniCare convergent wholesale billing solution according to the client’s need for scalability, security and efficiency. The wholesaler was then able to consolidate the billing across various resellers and improved billing efficiency by 42 percent. There was a significant increase in monetization and customer satisfaction ratings, as well as 99.99 percent improvement in accuracy of tax filing for each state in the United States. “Besides the services we deliver, we are responsive and agile and adapt to the needs of a potential customer,” remarks Shaibal. Sigma Software continually enhances the customer experience with constant innovation. The company is now providing Policy Control and Charging solutions along with its current nexus of offerings, “We will continue improving our existing solution and roll out M2M/ IoT device management platform and big-data analytics to the global operators,” beams Shaibal. Moving forward, the company plans to grow their business via partnerships and acquisitions. Provides real-time convergent and unified billing,M2M/IoT device management and bigdata analytics, Enterprise Product Catalogs (EPC) along with Policy Control and Charging Management solutions for telecom service providers.